Download image, unzip the file. Copy the file “install.img”, to your usb disk. Plug your usb disk in W2. Use usb-serial to connect W2, open a console terminal on your PC. Then power on W2, and press “Tab” button on PC to update image in your W2. Will this board support Android Treble Project? Hi! Can you put the image on google drive? I used Win32DISK (flashing back with Phoenix Card-v4.1 burning software) to write the decompressed BPI W2 Android image file install.img to the 8G SD card, then plugged it into the BPI W2 SD card slot, the SW4 switch dialed to a position, plugged in the power indicator light, pressed the POWER button did not respond, and the HDMI output port did not output. (my board used the SD card to start the Ubuntu system). Who knows what the reason is? Hello, this image could not use Win32DISK to install on sd card, could you please follow these steps to start up W2? After you installed this image, you could use following steps to update your image. Copy the file “install.img”, to your root directory usb disk. Plug your usb disk in W2 usb2.0 interface. Then power on W2, and press “Tab” button in console terminal on PC to update image in your W2. I recommend you use 2018.09 W2 images, it’s easy to install. and you could use Win32DISK or “bpi-copy” to install image. First of all, thank you for your reply ,but I have several questions to ask you. My W2 used to install Ubuntu 18.04 with SD card. Now I’m going to modify Android OS. Should I burn BOOT first? If, according to the method you said, the next boot after the completion of burning is not to plug in the U disk, directly to the W2 power, press the POW key directly into the system to start? I look forward to your advice. going through linked OpenWrt guide you will have correct u-boot in emmc. files that guide shows after decompressing .img to USB flashdrive looks like recovery image + audio drivers + kernel uImage + initial root partition image. I assume it will boot having rescue.root.emmc.cpio.gz_pad.img as rootfs. Then it will do its thing preparing emmc partitioning and contents for actual, proper boot. next reboot - you have everything set right and you do not need USB drive to help you booting. from now on updates look similar to how you flash android ROMs on your smartphone: boot to recovery and select file to write to partitions device is using during boot process. “tab” or “esc” (depending on guide) while turning w2 on looks like the way to initialise recovery instead of normal system boot. Hello，you could see this document to load Android image to emmc. Hello, there is an easy way to install Android on your emmc. please download this ubuntu image, and install it on your sd card. then use “bpi-copy 2018-05-30-android7-bpi-w2-emmc.img.zip” to install image on emmc. after that, poweroff your w2, switch sw4 to 0, poweron W2. The power-on system of W2 development board starts by itself. When it needs to be shut down, the power key is invalid and can only be pulled out. How can I use the power key to shut down the system? How to set and enable the infrared function of W2 development board? The PCIe2.0 slot of W2 development board installs RTL8822BE WIFI and Bluetooth integrated network card, but WIFI works normally, Bluetooth display has been disabled and can not be activated. 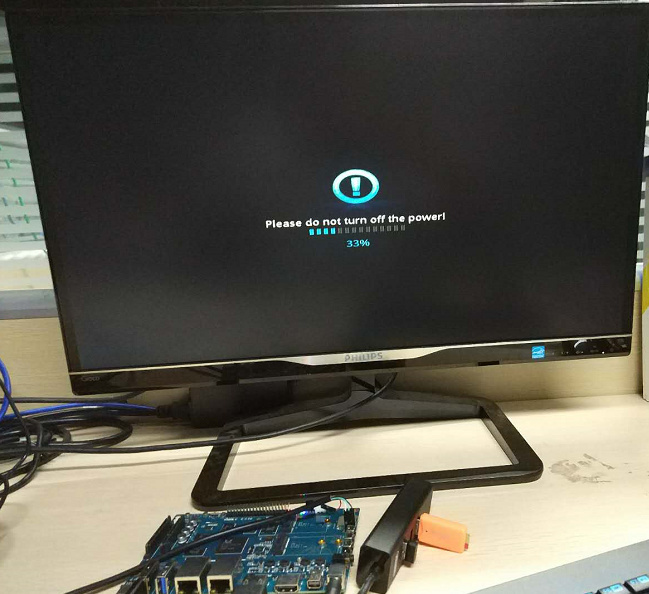 The LAN port of W2 development board does not work. Can you tell me how to operate or set it up in detail? I look forward to your reply. Thank you very much. I tested android 7 last day ethernet will work, but maybe only the port nearby usb will enable in android. Trouble the official technicians to give a definite answer. I have confirmed that Android image is 100% on HDMI screen using usb. However, rebooting will cause kernel panic. I downloaded Ubuntu to SD card and checked it by bpi-copy, but it does not work that way either. How you install google play ? I couldn’t find it in image ?